The White Hart Inn - Moorwood Moor, Alfreton. 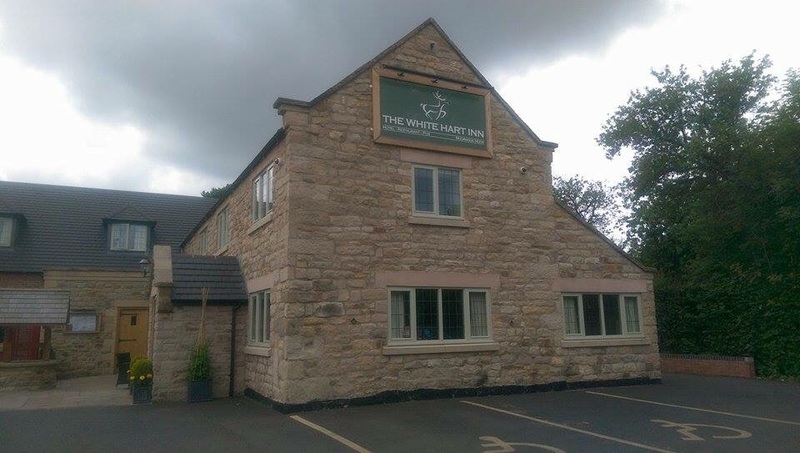 This is my third (I think) visit to The White Hart, but when Ashlea asked me to chose somewhere for us to go for lunch on Thursday, I chose here, as he had never been before and it seemed like a good place to go that was a nice drive but not too far. We arrived about 12:15 and there were a few tables in already, we were greeted by a lady called Melissa who me and Ashlea once worked with at the place we met and had a choice of where to sit. We ordered some drinks and chose a table more towards the bar area. 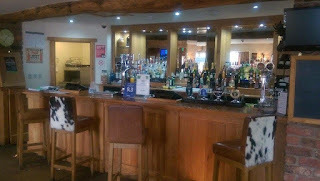 The bar and restaurant area is all open plan so makes the place feel huge! The tables are all big chunky solid wood which I love and is decorated with open brickwork, faux animal hair chairs and stag antlers on the walls. 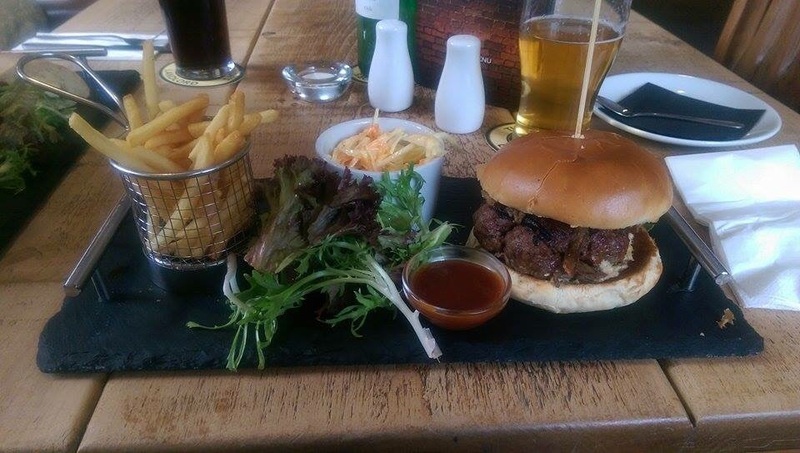 We got given menus, they come on a chunky wooden clipboard, so the theme continued. I decided to go for something a little lighter as it was lunch. A grilled halloumi, hummous and rocket ciabatta sandwich. This came served with skinny fries and homemade coleslaw. I loved it, and it was nice for me to have something a bit different too. 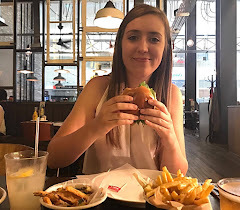 Ashlea opted for The Barbeque Burger which was an 8oz Beef burger with pulled Pork, cheese, skinny fries, the coleslaw again and a pot of homemade BBQ sauce. He told me this was a very good choice and would definitely have it again. 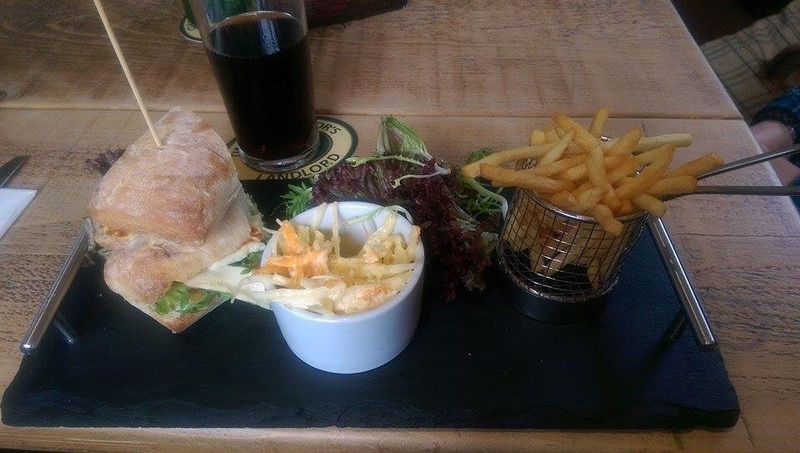 I loved that the food is served on slates, I know it's quite popular at the moment, bit I like it, it's a nice touch. The only thing that I noticed was that our food took nearly an hour to come out, I wasn't bothered though as we were chatting away anyway. 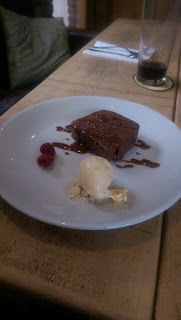 Our slates were cleared and we were asked if we wanted dessert.. of course I did! We were both quite full, so decided to share one, the rich chocolate fudge cake with milk chocolate ganache and double cream (which we were able to swap for vanilla icecream). It was delicious! So glad that we decided to share as it was plenty for both of us. It was quite different to fudge cakes that I've had before, but I must say I really liked this one. It wasn't sickly and actually tasted fudgey which cakes that I have had before haven't, they're just chocolatey. We had the dessert and paid the bill, everything is very reasonably priced which is great. Upon leaving, the car park (which is very big) was filling up very fast, so we decided to have a nosey around as they also do weddings here too along with rooms. Overall, I would come back to The White Hart as like I say, I have been a couple of times before. The service was great, food was nice and I enjoyed it. 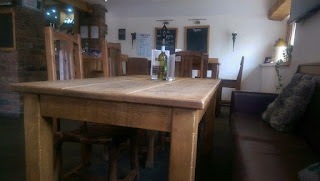 We visited on a Thursday lunch and didn't book, we wouldn't have needed to. 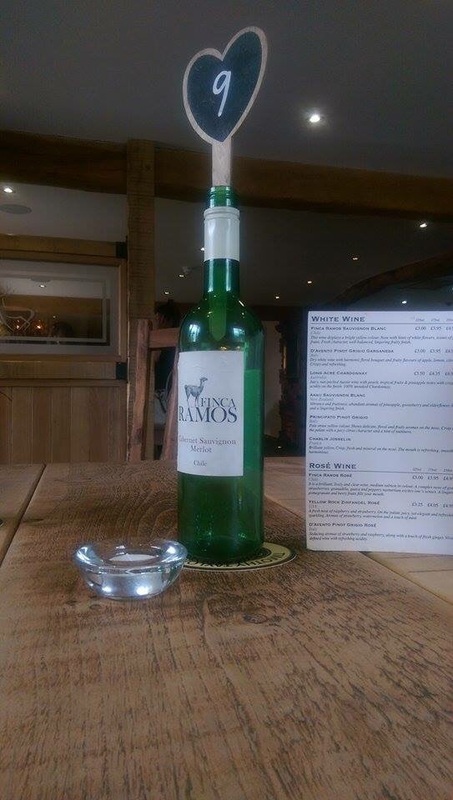 I'd say if you were coming at night or at the weekend to book a table though as it can get busy!